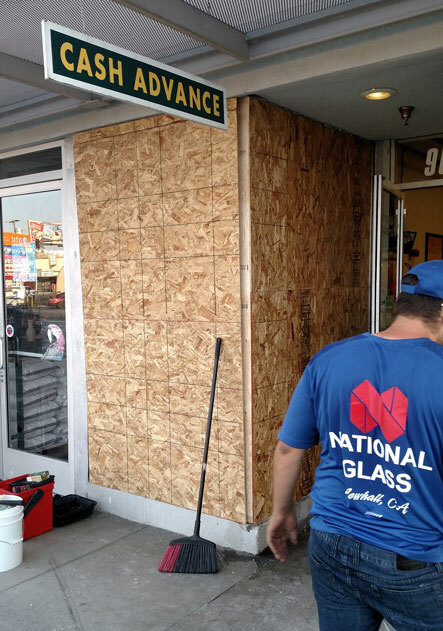 A car drove through this storefront in Arleta requiring a board-up and storefront replacement. National Glass offers a 24 hour emergency board up service. If you find yourself the victim of a break-in call us at (661) 259-6444 for assistance. After normal business hours follow the prompts and you will be directed to someone that can perform a board up for you. In the event that no one is able to answer please leave a message and it will be returned as soon as possible.